What did you think of the setting of Snow Country? How did the setting affect the characters and story? Which parts of Snow Country made you laugh? Cry? Beth puts her journal in the sauna stove, wanting to let go of the past year. Grandma encourages her to hold onto it. (Chapter 8, page 52.) Would you have burned the journal if you were Beth? Why or why not? Have you ever had a “journal burning experience” where you tried to forget your past? Grandma tells Beth, “Sweetheart, our experiences make us who we are, the painful ones as well as the joyous ones.” (Chapter 8, page 52.) How have difficult circumstances shaped you? Pastor Chips says, “Sometimes, life is like a Copper Country winter—spiritually, emotionally, or physically—and we feel like spring will never come.” (Chapter 32, page 183.) Have you ever been in a long winter period spiritually or emotionally? Samuel Clinton says, “Winter in the UP reminds us that we have hope, that spring will come, trees will bud, and we will have new life. Hope that is seen is not hope—that’s why Yoopers have real hope. But spring always comes.” (Chapter 12, page 76.) If you’ve been in a spiritual or emotional winter, did you have hope for spring? If so, what sustained your hope? Towards the end of the book, Grandma challenges Beth, “Is that how you make decisions? You only decide to do something if it falls into place?” (Chapter 48, page 261.) How have you made major decisions in your life? When Beth tells Mother that Chip Atkinson was Grandma’s pastor, Mother hangs up on her. Grandma sighs and says, “Sometimes wounds don’t heal when they’re not properly treated.” (Chapter 22, page 131.) What did Grandma mean by that? What messages about sexual purity were communicated to Beth during her formative years? (See Chapters 21 and 28.) How did these shape her positively and/or negatively? What did you think of fictional author Dr. Benley? Do you agree with any of his advice? Disagree? Are Mother and Beth right to be concerned about Danny’s past promiscuity? Does practicing abstinence before marriage help prepare one for fidelity in marriage? Why or why not? Why did Danny feel shame? How open should one be about relationships from the past? How did Beth change during the course of the novel? Which character did you relate to the most? Why? Which character would you most like to spend time with? Have you been exposed to Finnish-American culture? If so, what aspects of the book capture your experiences? 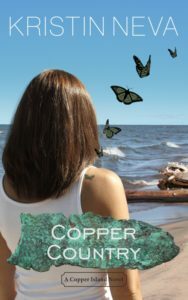 Aimee will be a main character in the next Copper Island novel. What do you hope will happen? Which parts of Copper Country made you laugh? Cry? Did Sophia’s transformation surprise you? Why or why not? Louisa tells Aimee she should see Frank because “whatever his motive, it’ll bring you closure.” (Ch. 14, p. 105.) Do you think her advice was right? Have you had experiences where you wished you had had closure? Have you tried to get closure, but wished you had let things be? Aimee prepares to preemptively forgive her dad, but he forgives her first. (Ch. 26.) She is offended because she didn’t think she did anything wrong. Has someone ever forgiven you for something you were not sorry about? Did it cause you to feel any remorse about that thing? Aimee writes a letter to her dad forgiving him. (Ch. 36, p. 179.) Do you think Aimee should have forgiven him? Why or why not? Louisa tells Aimee, “It takes both parties to reconcile, but you can choose a heart of forgiveness.” (Ch. 32, P. 221.) How would have Aimee’s relationship with her dad been different if he had apologized? Have you ever tried to forgive someone who was unrepentant? Aimee and Russ come from different church backgrounds, and neither are entirely comfortable in the other’s church. (Chapter 31 and 35.) Describe an unsettling experience visiting an unfamiliar church. Did they try to make you feel welcome? Louisa tells Aimee, “We all make judgements on what is right and wrong. The problem is when judgement crowds out love.” (Ch. 32, p. 220.) How do you see this playing out in our world today? In the church? Politics? Bella tells Aimee, “When you have a marriage, both sides need to give. Think of how hard it would be for two cities to become one. Marriage requires the same sort of painful process.” (Ch. 8, p. 56.) What are the challenges of trying to form a common culture with a partner from a very different background? Are there benefits of marrying someone from a different background? Do you think Russ and Aimee will come back to Copper Island? What challenges will they face if or when they return? 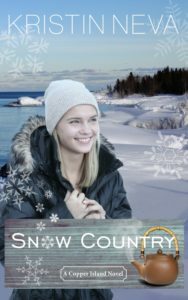 If you have read Snow Country, the first book in the series, which of the two books was your favorite? Why? 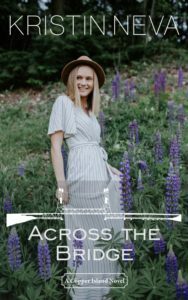 Which parts of Across the Bridge made you laugh? Cry? In what ways was Marcella shaped by her mother’s death? Marcella was hurt when well-meaning Christians attempted to comfort her. 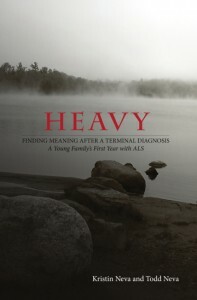 (Chapter 11, pages 79-80) Have you ever experienced grief? If so, did you hear similar statements? What did you find helpful/unhelpful? Did Marcella’s dad make a mistake in marrying Kandy? When Drew tells Marcella he sees how adversity has shaped her positively, she replies, “Just because it happens, doesn’t mean it was meant to be.” (Chapter 39, page 248) Do you agree or disagree with her statement? Marcella asks Louisa, “How could God let my mom suffer like she did?” Louisa finally replies, “Good and evil. Light and darkness. Love and loss. Joy and suffering. We’d never know one without the other.” (Chapter 30, pages 199-200) Later after Louisa’s death when AJ is sick, Marcella quotes Louisa’s words to him. 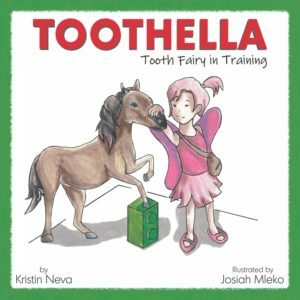 (Chapter 42, page 270) What helped her move to more peaceful place? Have you ever wrestled with the problem of suffering? Did the resolution Drew found with Danny regarding AJ surprise you? Did you expect there to be more drama? Why do you think Danny responded the way he did? How did Marcella change during the course of the novel? If you have read the other books in the series, which one of the three was your favorite? Why? 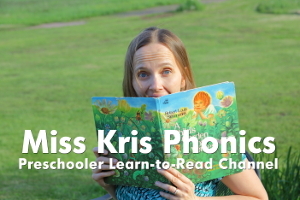 And her alter ego, Miss Kris, has videos to teach phonemic awareness to preschoolers and struggling readers.